Polls: Americans believe in evolution, less in creationism. A majority of young people endorse the scientific explanation of how humans evolved. Photo by J. Cameron/Wikimedia Commons. 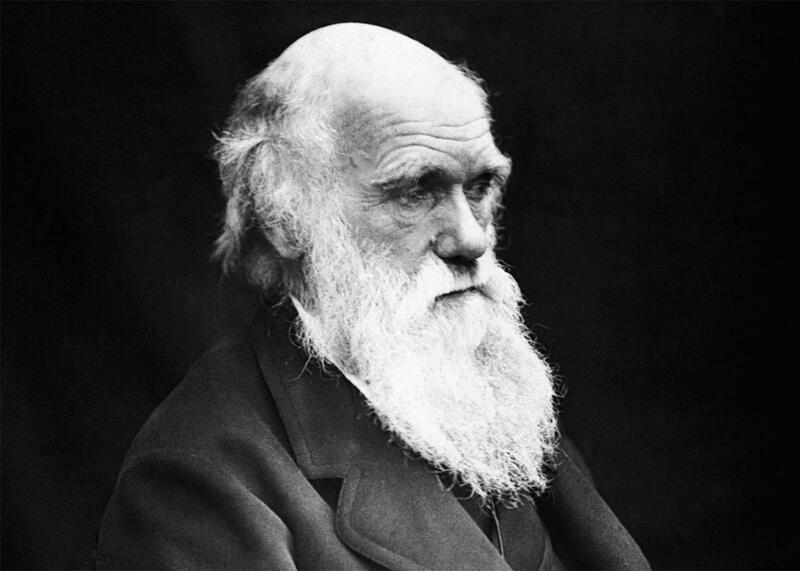 Few issues have divided the American public as bitterly as Charles Darwin’s theory of evolution by natural selection. Since On the Origin of Species was published in 1859, it has driven a wedge between those who accept that humans and this planet’s other inhabitants have evolved over time, and those who believe that our species was created in its current form with no alterations. While the majority of people in Europe and in many other parts of the world accept evolution, the United States lags behind. Today, 4 in 10 adults in America believe that humans have existed in our present form since the beginning of time, and in many religious groups, that number is even higher. This is woeful. Now, at long last, there seems to be hope: National polls show that creationism is beginning to falter, and Americans are finally starting to move in favor of evolution. After decades of legal battles, resistance to science education, and a deeply rooted cultural divide, evolution may be poised to win out once and for all. The people responsible for this shift are the young. According to a recent Pew Research Center report, 73 percent of American adults younger than 30 expressed some sort of belief in evolution, a jump from 61 percent in 2009, the first year in which the question was asked. The number who believed in purely secular evolution (that is, not directed by any divine power) jumped from 40 percent to a majority of 51 percent. In other words, if you ask a younger American how humans arose, you’re likely to get an answer that has nothing to do with God. It’s not just the young who are moving in favor of secular evolution. The overall proportion of Americans who believe in secular evolution has doubled since 1999, from 9 percent to 19 percent, according to a 2014 Gallup poll. But it’s important to note that the jump in secular evolution does not necessarily correspond to an increase in the total number who believe in evolution. Instead, most of that increase has been drawn from the pool of Americans who previously reported that they believed in evolution guided by God, which simultaneously dropped from 40 percent to 31 percent. Could these numbers be merely a blip—a stray mutation that will soon be weeded out of the population? Fortunately, there are several signs that these numbers do reflect a shifting cultural tide. First, America is getting less religious. Today’s younger Americans no longer have the strong ties to organized religion that their parents did. About 56 million people now call themselves “nones” —meaning that they identify as atheist, agnostic, or nothing in particular on national surveys—a jump of 19 million since 2007, according to the 2014 Pew Research Center survey. Again, it’s the younger generation who are driving this shift: Fully 36 percent of young adults between 18 and 24 identify as nones, and the number of millennial adults who are religiously unaffiliated is growing fast. That is not to say that religion doesn’t still exert a powerful hold on American identity; it does. However, the fact that fewer people are identifying with an organized religion is good news for science education, because many of those religions have historically opposed evolution. Who are the people still perpetuating the view that evolution is a myth and that humans have existed basically as-is for the entirety of existence, which has lasted only about 10,000 years? By and large, they’re older Americans. About 34 percent of Americans 50 to 64 years old believe in creationism. For Americans older than 65, it’s 37 percent. From the perspective of people who endorse evolution, that’s a good thing—because, not to be insensitive, but old people die. When these elderly creationists shed their mortal coil, they will be replaced by that younger generation consisting increasingly of nones. The result: a steady phasing out of those who oppose evolution. Sheldon’s mother is laughed out of the room. The message is clear: The fact-ness of evolution, at least to viewers of the show, is indisputable, and creationism is little more than a joke. Realizing the kind of nonsense he will have to deal with if he stays, Sheldon decides to return to his scientific career. Of course, evolution hasn’t won yet—not even close. Even today, plenty of powerful people are still promoting creationist nonsense, notably Louisiana Gov. Bobby Jindal, as Miller and Zack Kopplin have pointed out in Slate. Moreover, we can’t forget that a large bloc of young-Earth creationists still isn’t budging. Remember that 4 in 10 number? For those who attend church or synagogue at least weekly, that number is closer to 50 percent. For white evangelicals, it’s 60 percent. Those percentages haven’t budged in more than 30 years. The fight matters because we’re talking about the most fundamental tenet of modern biology. Origin of Species was just voted the most influential academic book of all time. As biologist Theodosius Dobzhansky wrote in 1973: “Nothing in biology makes sense except in the light of evolution.” Shared ancestry and adaptation by natural selection are what tie the biological sciences together, give them shape and meaning, and explain why life on Earth became the way it is. Trying to teach biology without evolution would be like trying to teach chemistry without the periodic table of elements: It just doesn’t work. The trends reflected in the polls are good news. Let’s hope this means that Americans will embrace evolution regardless of their political and religious beliefs—even if the process of getting there feels as gradual as evolution itself.